Psh, Med Students. Turn 'em while they're young. Haha, I LOVE this cartoon. Ahhh, men! 3. They have an outstanding infant who does not make a peep nor a poop. 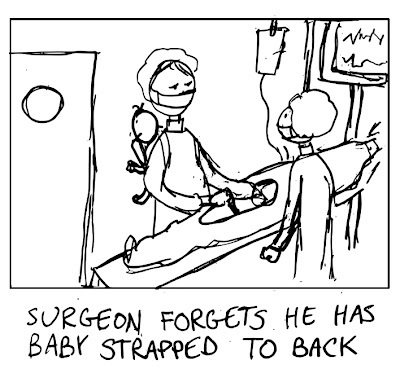 Well, as long as baby's not strapped to the front, he doesn't break sterile, right? What a waste. That baby should be holding a retractor.